This is a very special phonostage and the culmination of some very dedicated electronic and mechanical engineering. 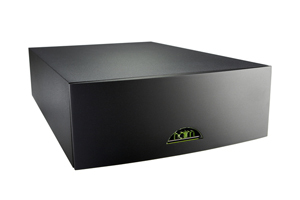 The SuperLine, like some other high performance Naim equipment really benefits from its massive suspended sub-chassis to ensure that the incredibly delicate cartridge signals are isolated from any environmental noise. Cartridge matching is assured with the availability of two different specifications of gain and a number of input load options. Connected to the latest SuperCap DR power supply and youâ€™ve got a world class phono amplifier thatâ€™s able to exploit the finest cartridges on the planet.